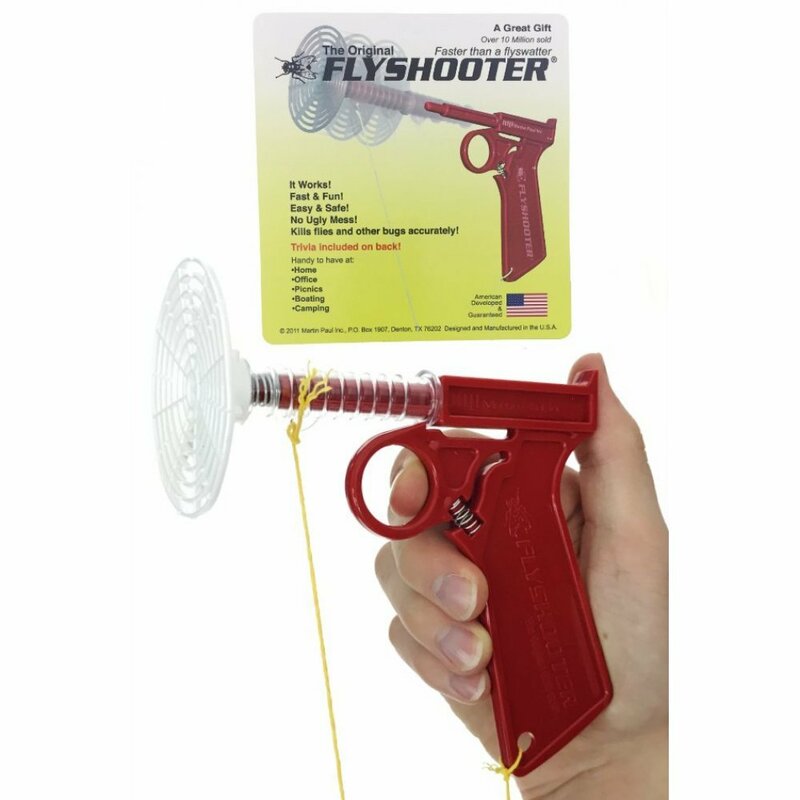 Aim and shoot at that annoying bug with the Original FlyShooter. 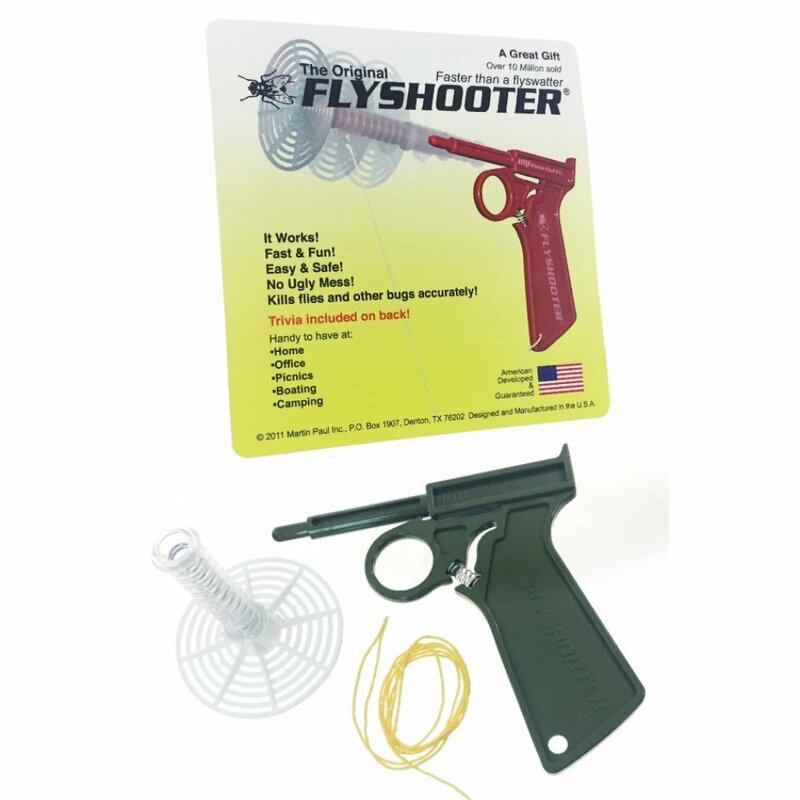 Just load the round target on the end of the spring loaded gun and prepare to defend yourself against any pest. 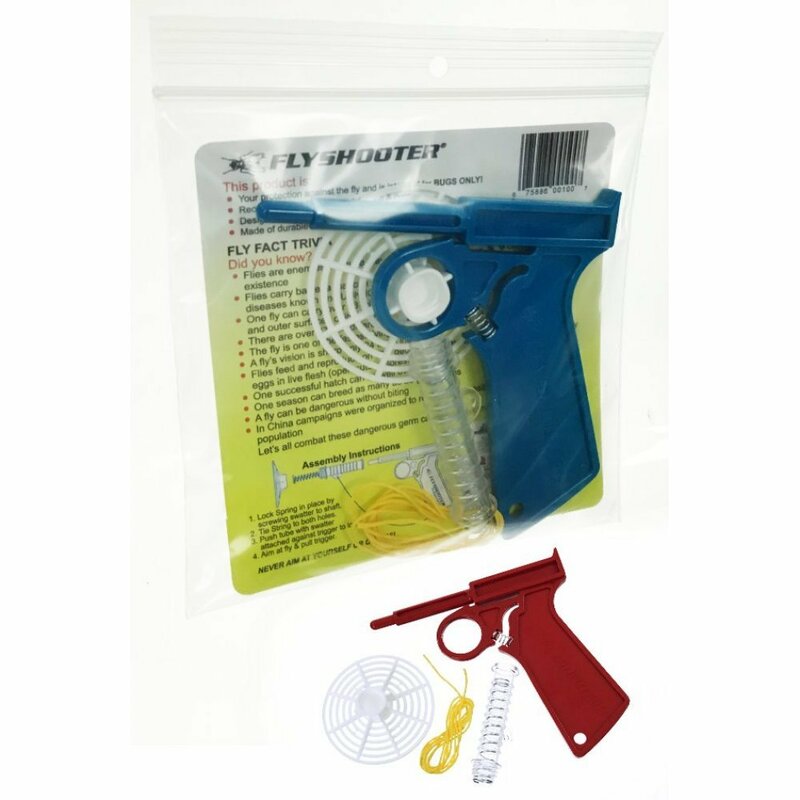 This all-plastic shooter comes in Red, Green or Blue and shoots about 3 feet on a yellow string. A funny gift for that outdoor party to attack any unwelcome flying bugs and mosquitoes. 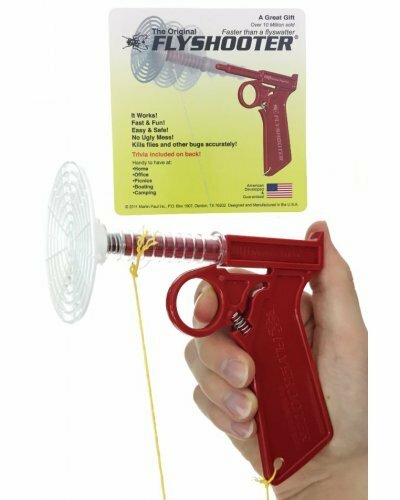 Fun for target practice too! 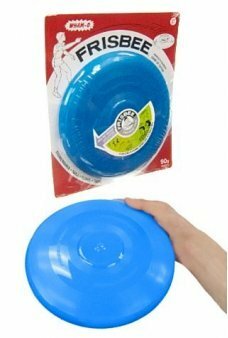 Throw the original Frisbee by Wham-O. Our vintage blue flying disc is just like the 1957 edition in ..
Let's go to the Amusement Park! 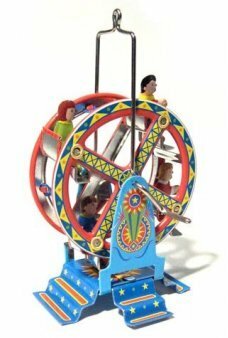 Operate our Ferris Wheel with the small silver crank on its side. 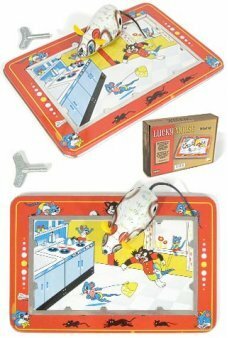 Ha..
A "Made in West Germany" original wind-up tin toy (marked by JW Toys). This elegant, high quality to..
Our happy wooden train set features 4 zoo animals and a train engine with real sound effects. 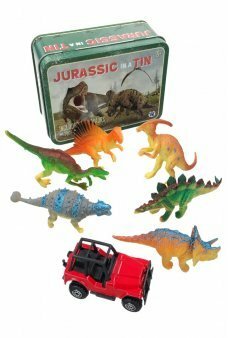 The Ze..
JURASSIC in A TIN: This 7 piece dinosaur set fits neatly inside its small tin! Perfect for din.. 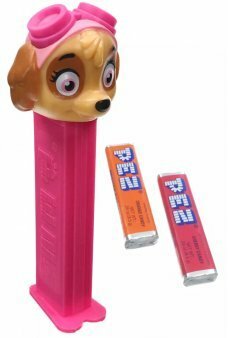 It's Skye from Paw Patrol on a PEZ Dispenser! Skye the helicopter flying puppy, serves y..
A classic real metal Western-style toy gun from the 1950's. Maybe the West was not really as excitin..